Finally, after months of painful birth, testing, tuning and editing the medieval veuglaire is available on Wargame Vault, for anyone willing to blast his miniature foes with the power of gunpowder. The set includes full 3D model of the cannon and gunner’s supplies, together with 2D front and back miniatures of cannon crew – recent veterans of Papercut Awards showcase. All in 300dpi resolution, designed and scaled for 30mm battlefields. Inside you’ll find also a brief description of cannon and its parts, detailed assembly instructions and general modelling tips. 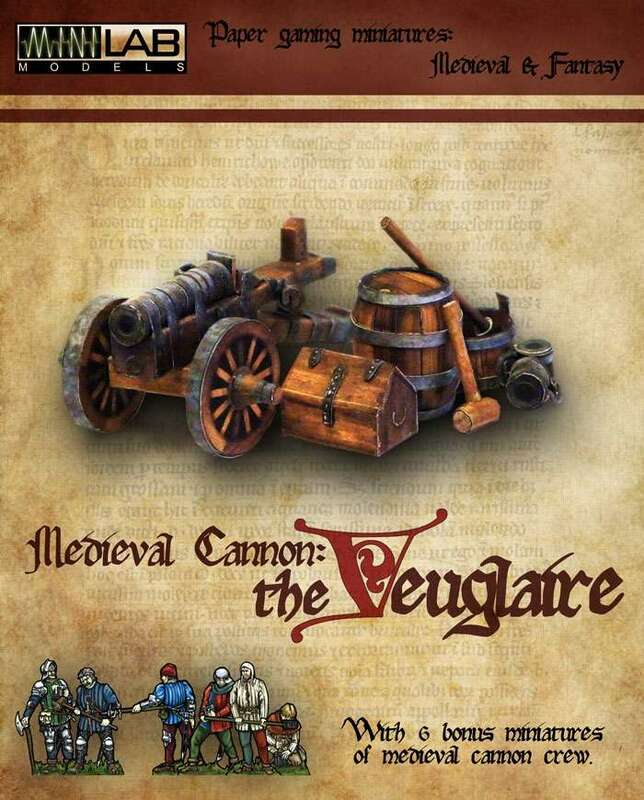 Medieval Cannon Crew – and how to operate a veuglaire. In past few days I’ve been busy with preparing my submissions for Cardboard Warriors Papercut Awards contest. Having very little free time (as always) I decided to enter only two categories that is Single Figure And Multi Figure Set. As the Veuglaire is getting close to being published, the cannon crew seemed a reasonable choice for the latter category. 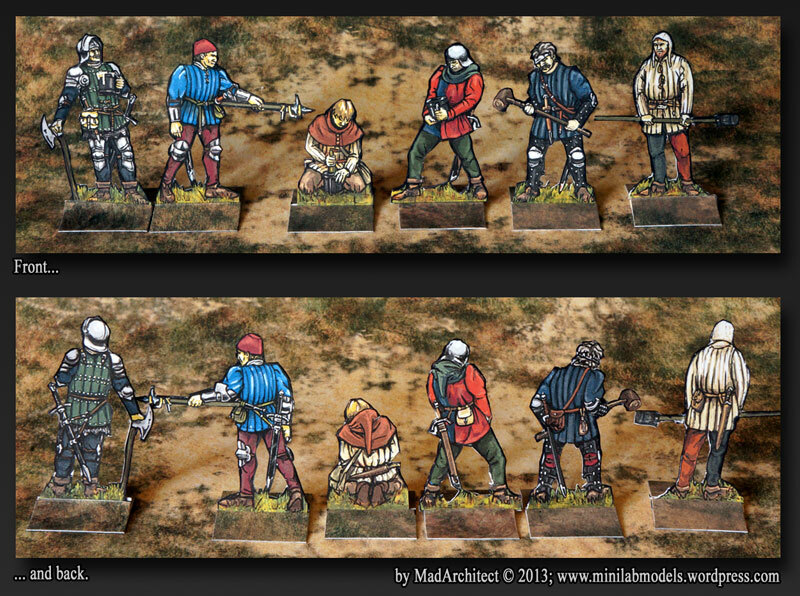 These miniatures will be included in the Veuglaire set as a bonus content. Anyway meet the crew. In order of appearance Company Captain, Master Gunner, Gunner apprentice, Company Soldier, Veteran Gunner and another Gunner apprentice. They were designed as post hussite, bohemian, mercenary, artillery company something mid. XV century and thus they are wearing period cloths, arms and armour. I wanted also to represent economic stratification of such mercenary company.